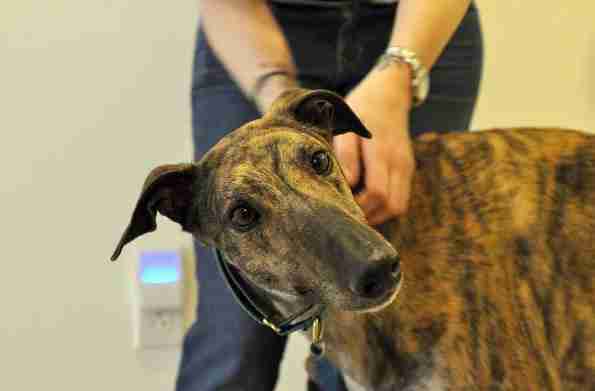 Mosley was rescued from the dog racing industry when he was 4 years old. He was so used to the noise and rough handling that when he was rescued he had no idea how to act, or how to relate to people. 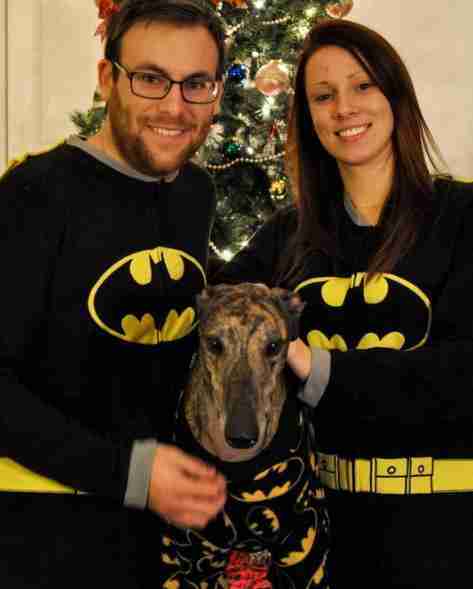 Mosley was taken in by Going Home Greyhounds, a greyhound rescue in Pittsburgh, Pennsylvania, where he was soon adopted by Scott Merrihew and his wife. "Coming from the racetrack, he was always used to being around a bunch of dogs and noises, and that was a big change for him," Merrihew told The Dodo. 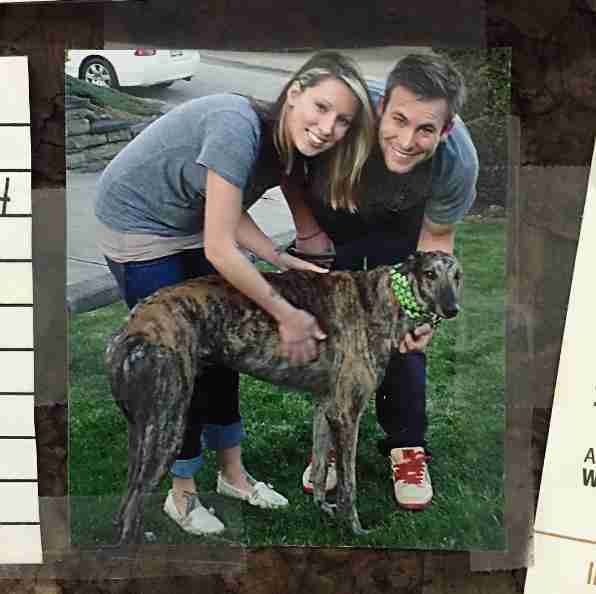 "When we first got him, he had a little separation anxiety and was really protective of his space." In the beginning, Mosley struggled with being affectionate. He'd never been shown love before, and now that he had so much of it, he was a little overwhelmed. ... until finally, four years later, he became the loving, silly dog he is today. Mosley is 8 now, and couldn't be happier with his life. 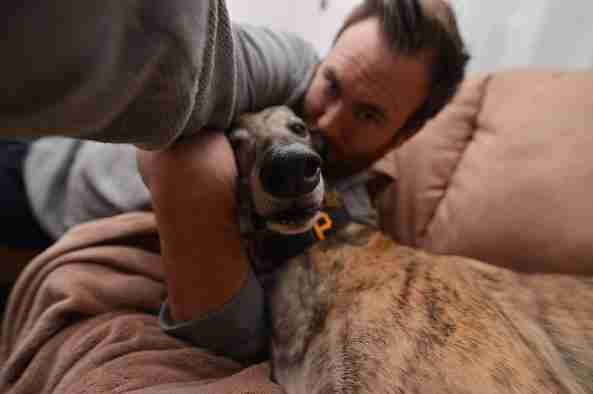 "His personality is a gigantic goofball 2 percent of the day and a lazy cuddler the rest," Merrihew said. "It took a lot of patience over the years with him to get him as comfortable as he is with life off the track." ... and Mosley seemed totally on board with the idea. 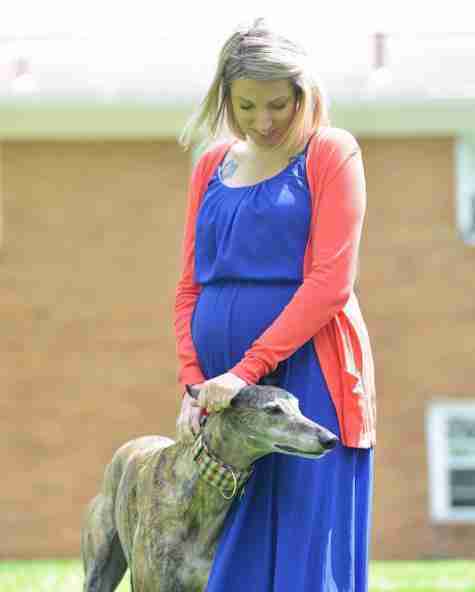 "He was a lot more cuddly with my wife towards the end of the pregnancy," Merrihew said. "He knew something was happening!" Finally, about a week ago, the day came, and little Lucas Merrihew made his way into the world. 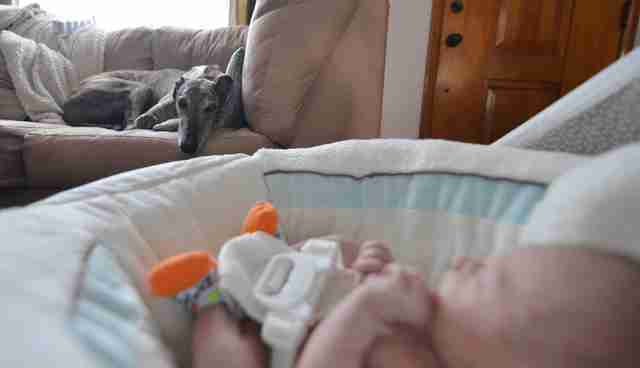 Mosley, a dog who previously knew nothing about love and affection, had so much to give his brand-new baby brother. "His initial reaction about Lucas was very interested but knew to keep his distance," Merrihew said. ... but Mosley is still handling it the best, and proves more and more every day that he knows exactly what to do. 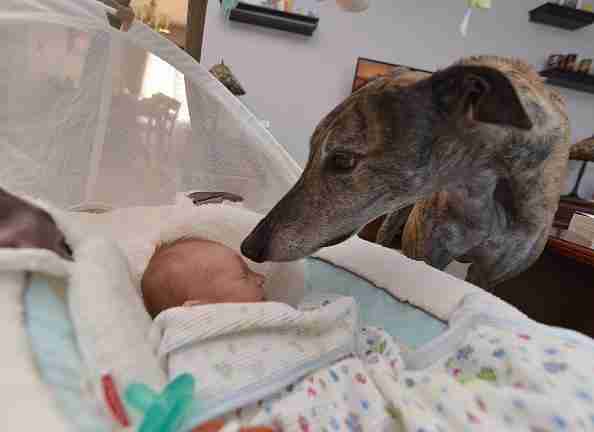 "He's been really good with the baby. 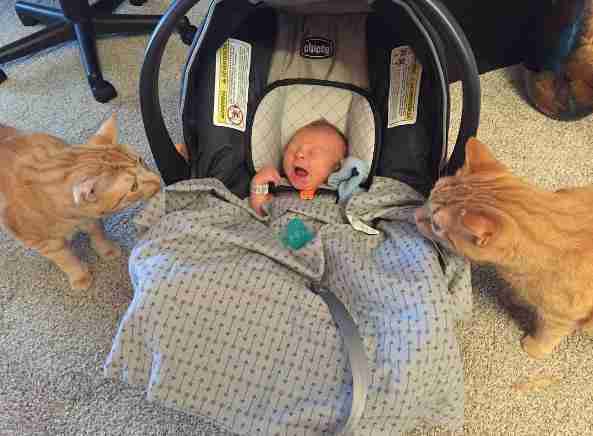 We currently lock the kitties out of the room at night but Mosley is allowed in," Merrihew said. There's no doubt that as Lucas grows, Mosley will continue to be the best big brother ever. 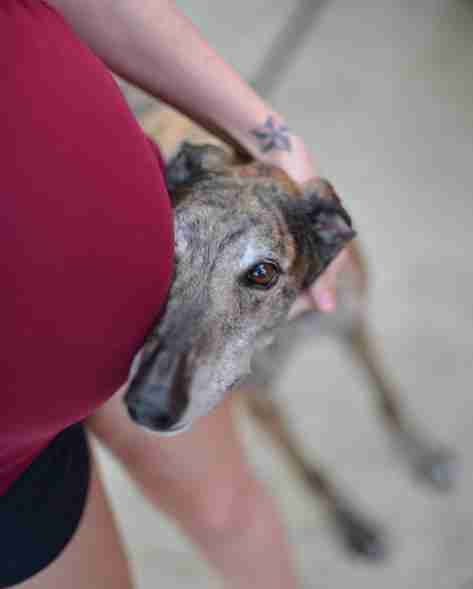 Due to the dog racing industry, so many rescued greyhounds are in need of loving forever homes. 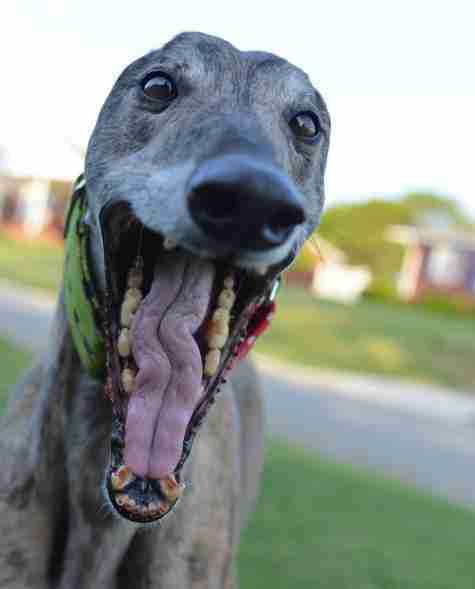 If you'd like to give a greyhound a home, you can click here to find a rescue near you. Follow more of Mosley's adventures on his Instagram account!